As a part of a continuous growth strategy, VMS Group appoints new CEO and restructures. Today, Peter Krogh Nymand takes over as the new CEO and Lars Bonderup Bjørn as the new chairman of the board. The founder of VMS Group, Morten Vestergaard, wishes a less prominent role in the future. The VMS group of companies includes Vestergaard Marine Service, DT-Interlink and VMS Technology in Frederikshavn, VMS-GSB in Norway and do Brasil in Brazil. All companies are now gathered under the newly established VMS Group A/S. 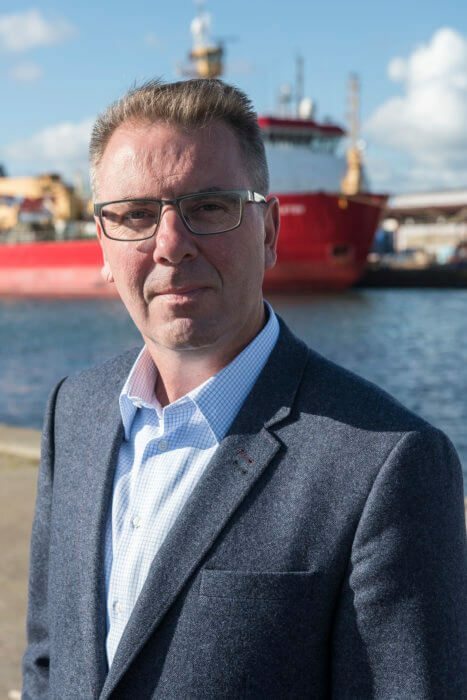 Peter Krogh Nymand comes from a position as CEO of Maersk Container Industry A/S, based in the southern part of Jutland, where he has been employed for 21 years; as Technical Manager and for the last 8 years as CEO. Peter Krogh Nymand is 47 years old, educated engineer and hold an Executive MBA. He plans to move to North Jutland in the near future. – I am really looking forward to cooperating with my new colleagues. In relatively few years, the many competent employees of VMS Group have become a strong and competent player in a tough market and is well-known for their high quality. I think that together, we can further develop the group in both existing and new markets, says Peter Krogh Nymand. New chairman of the board, Lars Bonderup Bjørn was previously CEO of MAN Diesel in Frederikshavn and chairman of the Port of Frederikshavn. The former chairman, Erik Rauff, will still be a member of the board together with Morten Vestergaard. Explaining the change of structure and the appointment of a new CEO and chairman, Morten Vestergaard believes that the group has now reached a size where his own competences will be put best to use in a supporting role. – I am convinced that we have found the right person in Peter Krogh Nymand and that he together with Lars Bonderup Bjørn will develop our business further. I have great confidence in the future and look forward to following the development – and will still contribute to maintain and develop the spirit that has been characteristic for VMS since the start in 2001, says Morten Vestergaard.